Summer is winding down and the rest of August will be recipes to help close out Summer and welcome Fall. Kids are going back to school, pool time is winding down, and backyard BBQs are coming to a close. I’ve coined August as the End of Summer recipe month here at Wanderlust and Wellness. Fresh fruit, grill favorites, and back to school recipes galore! 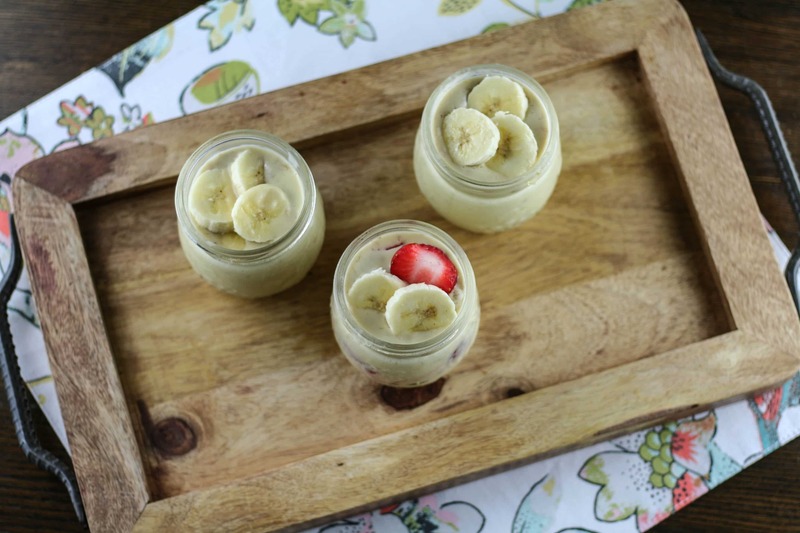 These mini-banana puddings are the perfect after school treat for the kiddos. They’re both gluten and dairy free and you can customize them however you’d like! I used individual jelly jars but you could also use individual ramekin dishes if you don’t have any jars on hand. 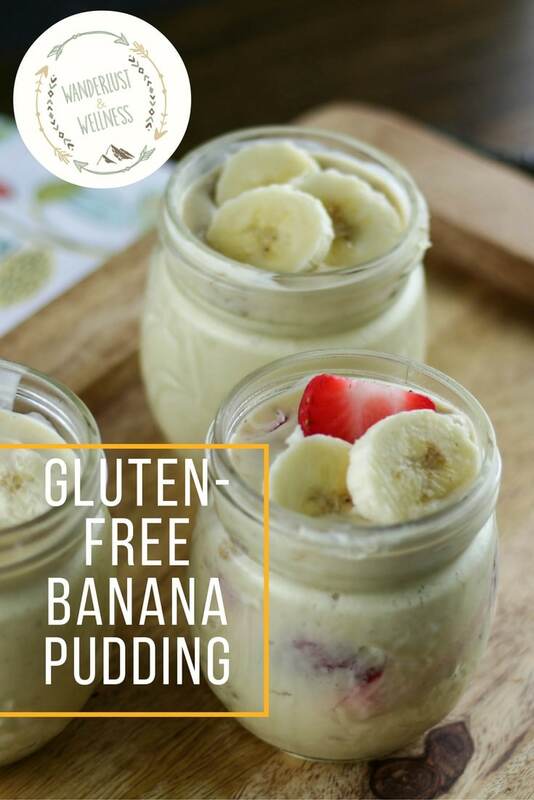 I mixed and matched these with some being all pudding, some layered with bananas and pudding and others layered with both bananas, strawberries, and pudding. 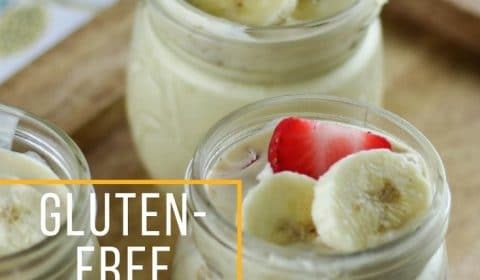 They’re gluten-free because they don’t contain the normal vanilla wafers you’d find in banana pudding, however, you could pick up a box of gluten-free wafers to add into the mix. But then it wouldn’t really be Paleo friendly, ya know?? You could also get creative and add meringue, if you’d like, the possibilities are endless! Whisk together the egg yolks, honey, and arrowroot powder in bowl. Set aside for now. In a small saucepan, heat the coconut milk over medium heat for 5 minutes, stirring repeatedly. Pour the coconut milk into the bowl with the egg mixture and whisk together. 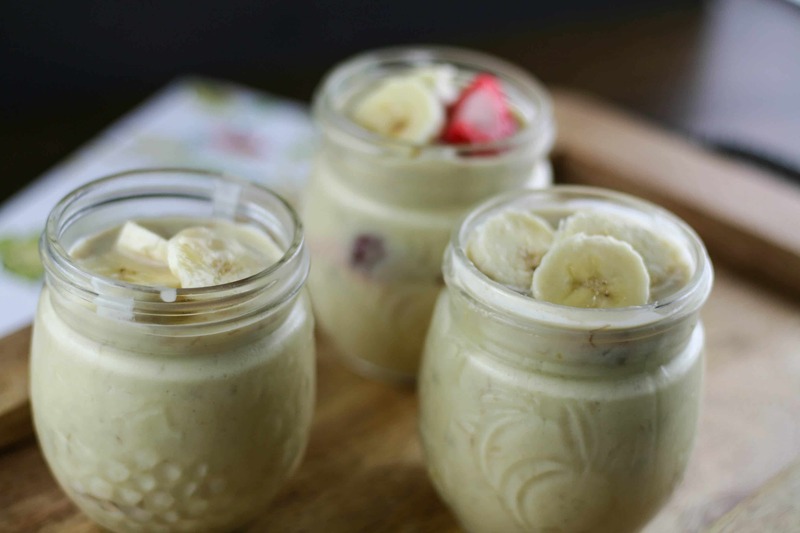 Pour the mixture back into the bowl and add in the vanilla and 2 ripe bananas, whisk together until well combined. Pour into serving containers, layering with fruit if preferred, then cover with plastic wrap and chill in the refrigerator for at least one hour. Top with additional banana, or other fruit, slices and serve.